I'm excited to announce that I had the opportunity to review several bottles from EcoUsable as well as some accessories. That's not all...the really great news is that I was sent enough to host a giveaway!! I loved the variety and colors of the bottles. No boring bottles here! They offer all kinds of accessories as well. They carry Sports Caps, Water Wrapz and Ech2o Filters for your bottles! So, if you're looking for a great sports bottle with comfort and style, then I would definitely reccomend you check out EcoUsable. Not only are EcoUsable water bottles stylish, but they are also green!! Have you ever wondered what you could do to help save the environment? Using EcoUsable water bottles is a great way to do your part. You can save a lot of plastic bottles from ending up in landfills! 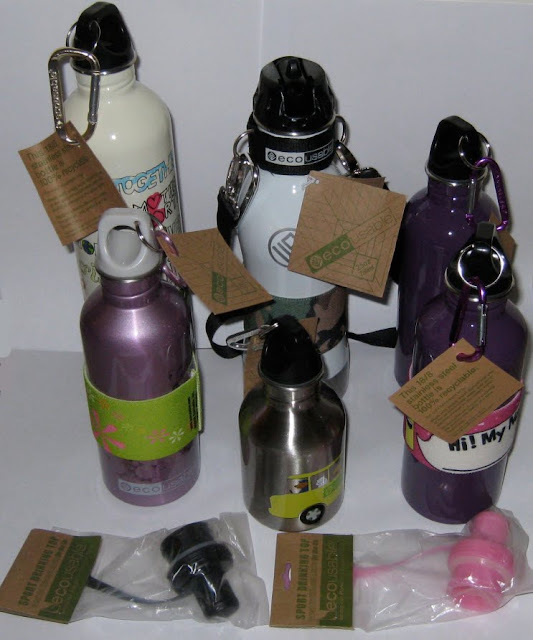 Ecousable has the greatest variety when it comes to stainless steel water bottles. Just take a look at their site and you'll see they carry 10oz, 16oz, 25oz, 33oz, filtered water bottles, red, purple, tall, short... just about anything you could think of when it comes to water bottles! • Available in an assortment of graphic prints & solid colors. 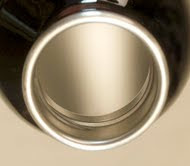 • Made from 304 food grade stainless steel (18/8). • BPA free & Aluminum free. • Easy to clean and fits ice cubes. • Exclusive skid-proof mat bottom. Take a look at this comparison of a competitors water bottles (left) compared to EcoUsable bottles (right). 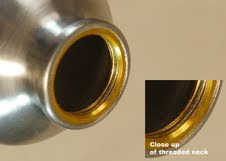 The threaded necks of the competitors bottles are harder to clean and more likely to harbor bacteria. As you can see the EcoUsable bottles are designed to be safer and easier to clean! My verdict: I would definitely reccomend EcoUsable bottles. 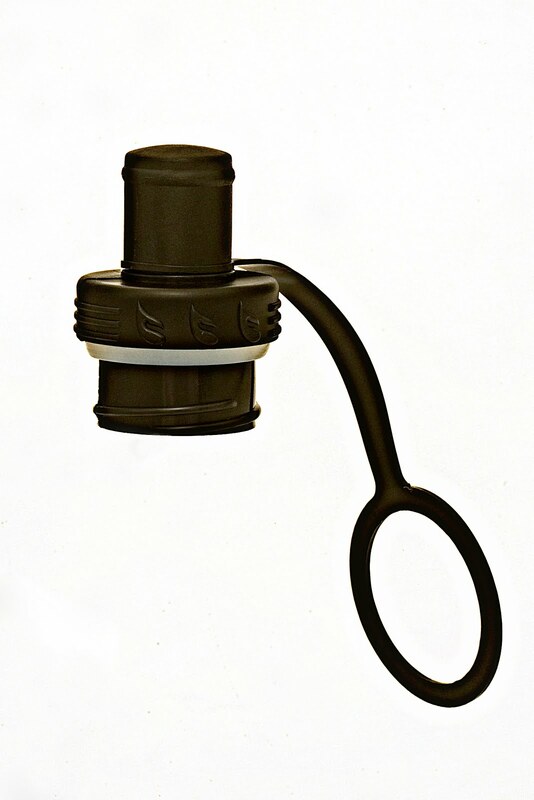 They're stylish, light, green and I was extremely pleased with my experience with EcoUsable overall. I thought that the taste of tap water filtered through the Ech2o filter was greatly improved and there was no chlorine aftertaste! Buy it: Check out EcoUsable to find the perfect water bottle for you. EcoUsable has generously offered a 10% off coupon code to all of my readers when they purchase directly from EcoUsable! Just enter: ECO10 when you're checking out! Okay, here's the part you've been waiting for... the giveaway! Mandatory: Follow me on Google Friends Connect and leave me a comment telling me you are a follower (1 Entry). Leave a comment for each entry and include your email address in each comment that you leave, so that I can contact you if you win. That's a total of 18 possible entries! This giveaway is open to 18+ U.S. residents. The giveaway will close at 11:59 pm PST on 08/24/2010. Following you via GFC. Thanks! I like the BPA Free Stainless Steel Bottles. I'd love to get the Light Blue Big Dipper - 25 oz to put the flower power water wrapz on. I subscribe to the ecousable newsletter. I also like the Lavender Filtered - 25 oz. I follow EcoUsable on twitter - ncschools.